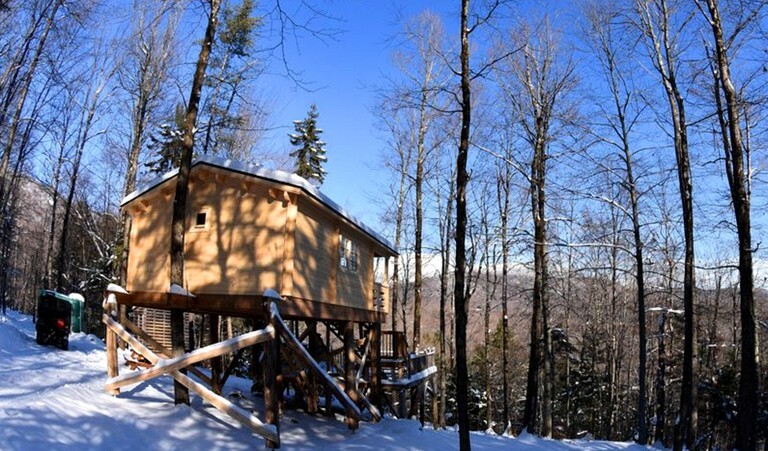 This spacious family tree house in the Eastern Townships of Quebec is perfect for large families or groups of friends, boasting plenty of space to sleep up to eight people. There are four comfy double beds, and a large wood-burning stove will keep all glampers toasty and warm during the cold winter months. 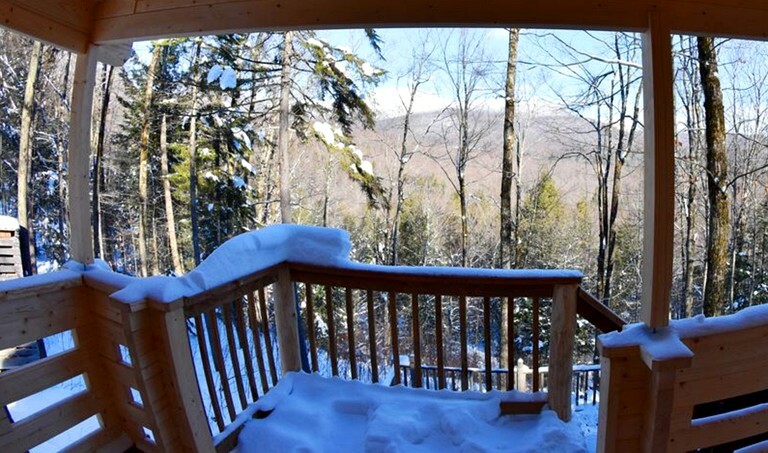 The great, secluded location of the cabin offers the ultimate in tranquility and relaxation and perched on the summit of the mount—offering unparalleled views down into the valley with spectacular vistas of the surrounding areas. 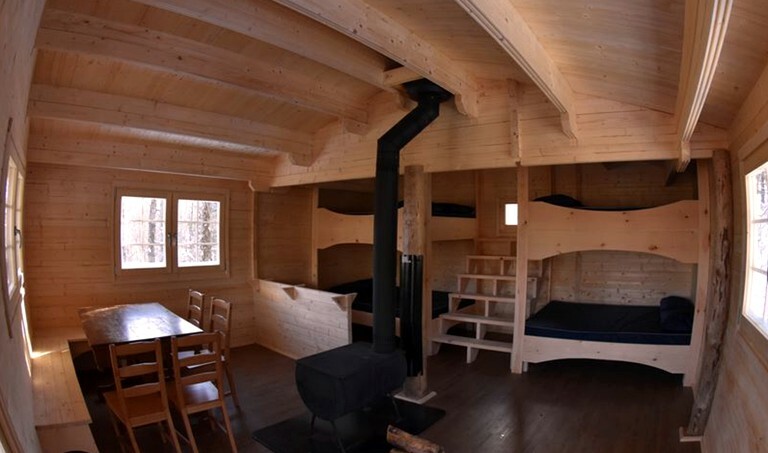 The cabin comes equipped with mattresses and pillows, but sleeping bags are needed and should be provided by the guests. The stove is great for cooking on, but during the summer when it is hot, glampers should bring an alternative cooking stove, as well as their cooking equipment and utensils since it can be too warm in the summer with the wood fire lit. When it is warm, the many windows allow a breeze through the space to keep it cool and comfortable. This roomy accommodation boasts a wonderfully crafted wooden interior with a spacious dining table to accommodate all glamping guests around it with bench seating. Double doors lead out onto a raised balcony with stunning views down into the valley.